Following on from our previous post; we will look at the ways that unknowingly, we consume more sugar than we should. We will also talk about which steps to take to ensure we aren’t overeating and causing irreparable damage to our teeth. If you don’t know the answer to this question then you may want to continue reading. As dentists, we deal with a substantial amount of mouth problems. Anything from ulcers to cavities to tooth loss. We understand the changes that need to be made to ensure that you are happy and confident with your smile. Having a healthy mouth is not just beneficial to your teeth; it’s beneficial to your mind-set and to your body’s overall health. Whether you take a daily, weekly or monthly trip to the supermarket; the amount of sugary, tasty-looking foods are everywhere. Shelves are saturated with bright and inciting treats that are often cheaper than the healthier foods. Are we bad for picking up some junk now and again? Of course not. The problem comes when we lose track of how much sugar we are actually consuming and purchase more than we should. According to the FDF the recommended daily allowance of sugar for a women is 90g per day and for men, 120g. When you read that back it sounds like a substantial amount, doesn’t it? However, in context, one bottle of Lucozade is 36% of your daily allowance. The FDF brands more than 22.5g of sugar in every 100g a high amount of sugar. Depending on our stages in life, tooth loss can be a cause for a celebration or an urgent and very frightening trip to the dentist. In this post we will talk about the natural and unnatural stages of tooth loss and how best to prevent it. We are born with a set of baby teeth or milk teeth. In dentistry the baby teeth are known as deciduous teeth which are then replaced with permanent teeth. It takes around 6 years for children to lose their primary teeth and transition to permanent teeth. The time where children have both sets of teeth (between 6 and 12 years) is called the period of mixed dentition which eventually results in the 20 baby teeth getting replaced with around 32 permanent teeth. Some children tend to lose all of their front teeth first which is completely natural and quite often celebrated. 4 best reasons to see a dentist. Let us admit something: seeing a dentist isn’t usually our number one priority. In fact, it’s something that most of us relentlessly put off until it’s too late! At some point in our life we will experience the regret of not visiting our dentist a few months earlier. Most of us only ever visit a dentist in an emergency situation where we can’t sleep, eat or function because of severe mouth or tooth pain. In this post we will give you 5 reasons to see a dentist and hopefully help you avoid ever experiencing the horrible pain of an overdue dentist appointment. We understand that for children, visiting a dentist is undesirable. For parents this can also result in a stressful experience. We have put together 5 of the best ways to keep your child calm at the dentist and provide you with a more satisfying dental experience. E ven as adults, going to the dentist can be horrific. It can turn you into an anxiety-stricken wreck and prevent you from wanting to go ever again. As dentists we understand that fear can occur at any age and so we try to do everything we can to make the experience easier for you. We have put together some tips that may help ease your stress and hopefully make you want to return. Firstly, the reason why visiting the dentist is so important is because we act as a preventative measure. By assessing your teeth we are able to see if any problems are likely before they have actually happened. We are also able to catch problems before they escalate which if not treated can result in fillings, root canals or even tooth removal. Dentists won’t undertake work that does not need to be done. 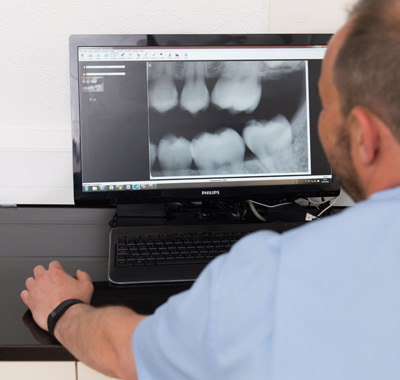 Not every visit to the dentist will cause you pain and as we always say, we treat a general check-ups with as much importance as a procedural appointment. Our tools are necessary to check your teeth effectively and we understand that they can be uncomfortable but they will not harm you. This is probably the best thought you can use when trying to conquer that fear of the dentists. We will not cause harm to your mouth but you may feel uncomfortable. Everything we do in your mouth is for your own benefit. So without further ado, here are some tips that we hope will help you conquer your fear of the dentists. There are hundreds of toothbrush variants on the market. What do I choose? Electric, manual, sonic? Trying to decide which toothbrush is the best for your teeth within your budget is not an easy decision. Some say, when you’re faced with too much choice, it actually becomes harder to pick what you want. We get so distracted by all the extras that we lose sight of what we actually need! I decided to invest in a sonic toothbrush and I cannot tell you how much I struggled to part with the best part of £80 (even at half price). Having used both manual and electric toothbrushes throughout my life I didn’t even know that sonic toothbrushes existed and I definitely never thought I would buy into the idea that there are ‘better’ classes of toothbrush. In this post we are going to let you into a few secrets. We will tell you some of the best things that you didn’t know about your teeth. Tongue twister isn’t it (excuse the pun). Brushing our teeth is part of a daily ritual that, admittedly we don’t really give much thought to. The majority of people in the UK brush their teeth for less than 2 minutes at a time so when you have 24 hours in a day – it’s hard to remember what was going through your mind in that 2 minutes. Why visiting a dentist every 6 months is essential. 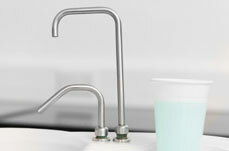 Maintaining oral hygiene can be the easiest thing or the hardest thing and the results all depend on you. You must have a dentist that you are happy with and you must consider visiting them every 6 months or whenever is recommended by them. So, why is it so important to visit the dentist on a regular basis? Firstly and most importantly: dentists tell you what you need to know. Nearly half of the population are unhappy with their teeth. 64% of the overall 48% of people state that discoloured teeth is the main reason that they hate their smile. Other common concerns are the shape of teeth, smell of breath and the visibility of gums when smiling. So what can you do to improve your smile? Like the beauty industry, the dental industry is involving annually with more treatments and corrective techniques being added to the already rapidly expanding market. There are now so many ways both surgically and non-invasively that you can use to alter your smile and make you an all-around happier person. 16 most interesting things you should know about your teeth. Your teeth and gums are two separate things. Your teeth are made out of tissue, pulp, dentin, enamel, and cementum. Gums are tissue that are covered by a layer of oral mucosa, a mucous membrane that helps keep the mouth clean. Sensitive toothpaste really does work in preventing the effects of tooth sensitivity. Tooth enamel is the hardest substance in the body. Am I brushing my teeth wrong? If you are, don’t worry – we are here to help you. We are a Cardiff based dental practice and hope to help everyone achieve a better, healthier mouth. You’ve been brushing your teeth the same way since you were young so understandably you’ve probably asked yourself this question more than once. We will outline some great ways that will help you understand how to brush your teeth correctly and maintain the best, healthiest mouth possible! I f you’re reading this article then you’re probably curious as to which toothbrush to use to achieve the best results. There seems to be an age old debate: which is better, manual or electric? Now we know there are hundreds of variants of electric toothbrushes on the market with each seeming to have their own unique selling point. Of course, making the decision to choose an electric toothbrush over a manual will be up to you. For the majority of us, brushing our teeth in the morning is second nature. We’ve been trained since we were young that brushing our teeth is part of our morning routine, just as similar as getting dressed. However, if we’ve been brushing our teeth the same way every day for all of our lives, how do we know whether we’re doing it right? We may rarely think ‘Am I brushing my teeth the correct way’ or ‘Am I ensuring that my mouth is as clean as it can be?’. Don’t worry if these questions haven’t crossed your mind, we’re here to provide you with some tips to help maintain better oral hygiene and ensure you are looking after your teeth as best as you can. We’re a Cardiff dental practice and we live by what we tell our clients. Teeth whitening: does it actually work? Admittedly, there are so many teeth whitening products on the market; plastered all over Instagram and Facebook, endorsed by some of the most famous celebrities in the UK. But the question that’s always on our lips: do teeth whitening products actually work? In order to fully understand whether these products do what they say on the tin, we need to know the process of teeth whitening. It’s normal for various little ailments to pop up in our mouth from time to time. The question is, which of these ailments should be a concern for us. It’s ok to occasionally ignore that ulcer but that constant dull ache in the back of your gums, what should you do about that? Bleeding gums are caused by inflammation and irritation. This can happen due to poor dental hygiene or missing brushing cycles. The build-up of plaque on the teeth will cause swollen gums leading to blood when you brush. The best way to resolve this issue is to brush thoroughly twice a day, floss and use mouthwash. The cleaner your mouth, the healthier. The problem should subside almost straight away – if it doesn’t then it could be a more serious problem. Dental implants are a form of artificial post or tooth root that are surgically placed into the jawbone just beneath your gums. They can be used either to hold a replacement tooth or a dental bridge. The results are achieved through the implantation of the post fusing with the jawbone which provides stable support for artificial teeth. Dental implants have various functions, including ensuring the smile is as real as possible and that day to day activities such as eating, drinking and speaking can be undertaken without any interruption. Dental implants are a secure way of ensuring that replacement teeth, dentures or bridges are secure, comfortable and make for a beautiful, healthy smile. Have you woken up with an unexplained sore mouth or ulcers and you tell yourself it’s because you’re ‘run down’? Well, there may be a more definitive answer as to why your mouth is sore or covered in ulcers. Maybe we are guilty of disregarding our diet and its important link to our oral health. Here are 5 top food and drinks to avoid if you want to maintain a healthy, bright smile and undisturbed gums. If you’re anything like the majority, you love a sweet treat, fizzy drinks and a tiny (or big) tipple at the weekend. However, if you’ve already got problems with your mouth or are cautious of keeping your oral health in tip top condition then diet is of course, important. Like the rest of us, cutting out the foods and drinks we love can be hard so we’ve devised a list that will allow you eat and drink ‘the same’ great things but at a lesser offensive cost to your oral hygiene. 7 Best Food and Drinks To Protect Your Teeth. Ever wondered what comes between a heathy, bright smile and a trip to the dentist? Well, it could be your diet. When it comes to oral health, the food you eat is just as important as the care you take. Foods with high sugar contents, fizzy drinks and extreme acidity can decay your teeth over time. So, if you do like a sweet or two that’s ok as long as you’re eating foods that help protect your teeth and gums as well as visiting the dentist. After all, everything is fine in moderation! If you have sensitive teeth you will how much it can affect you if not treated properly. Sensitive teeth can be caused by a variety of issues: worn tooth enamel from aggressive brushing, tooth erosion due to excessive consumption of acidic foods and drinks or tooth decay which expose the dentin of your tooth causing pain. Using toothpaste designed specifically for sensitive teeth is a fantastic way to reduce the symptoms without medical intervention. So, here are the top 5 toothpastes you can use for sensitive teeth! 5 Reasons To Use a Dental Cosmetics Expert. We all have hang-ups about our body that we wish we could change with Research showing that 1 in 4 Brits are unhappy with their smile. If this sounds like you, don’t worry we’re here to help. 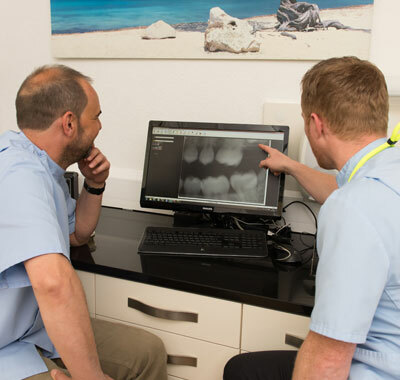 Dentistry has evolved and local surgeries such as our dental practice in Cardiff can offer a range of procedures that can help you achieve a better smile. We offer implants, crowns, inlays and veneers – all of which can lead the way to a better smile and a more confident you! But why should you, choose us? Some of us may notice that blood appears when we brush. Bleeding gums can be caused by a number of reasons including improper dental hygiene causing plaque build-up on the teeth. Inflammation in the gums can result from plaque build-up or over brushing so its important that if you are displaying symptoms, you nip it in the bud sooner rather than later! Teeth whitening kits that you use at home – what to look out for? Undeniably, teeth play an important role in the formation of first impressions. This has made cosmetic dentistry a necessity rather than a luxury. These days, there’s an abundance of over-the-counter remedies that help retaining the whiteness of your teeth. As it goes without saying, any such assurance needs to be taken with a pinch of salt. Dentists across the globe agree that brushing and flossing are two great ways to maintain oral hygiene. However, many people shun this advice categorizing it as another run-of-the-mill advice. Ignorance and lethargy add to the issue, and flossing becomes a casualty. However, only a visit to your dentist will bring to light the dental issues. What happens to your mouth after a time if you are a sugar fanatic? Does the thought of cupcakes, fudges, desserts with sugar in any form make your mouth water? Do you have the habit of popping in something sweet to fill time, to de-stress, to relax or just for the sake of getting a sugar rush? Do the terms “Sugar lover” and “Sweet Tooth” bring a smug smile to you as though you are conferred with a title? A reputed private dentist in Cardiff can be your best partner in maintaining your oral health. 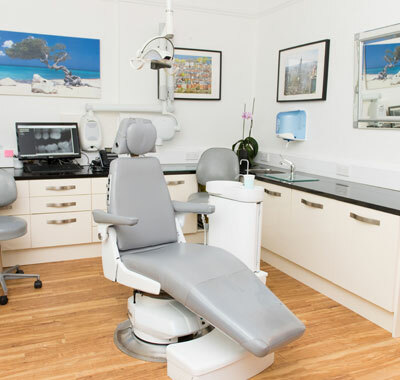 Church Road Dental Practice comes with well-earned reputation and expertise to be your best dental health partner. 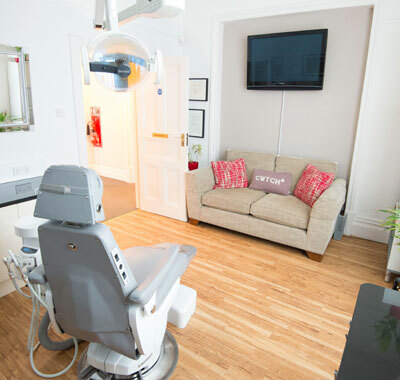 As your trusted private dentist in Cardiff, we think not just about you but about your family as well, which is why we prioritise the following at our dental healthcare centre. Teeth whitening removes stains on teeth and brightens them. Dental veneers are artificial materials used to achieve desired effect on teeth, such as a desired colour, shape or size. Teeth whitening or dental veneers are recommended when you want to improve the appearance of your teeth and overall dental health. 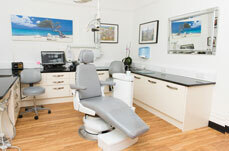 For best results, it is important to consult a professional dentist in Cardiff. A regular visit to a dentist’s clinic is essential to ensure that your entire oral system is healthy. A visit as regular as every 6 months can help monitor your oral condition. Tooth or gum problems, if any, can be detected early and preventive measures can be duly taken. Sometimes, a teeth or gum problem may be indicative of a deeper ailment such as cardiovascular issues. Thus, a regular visit can help detect and treat such health issues as well. It is equally important that you visit a trusted dentist to experience the real benefits of a regular examination. 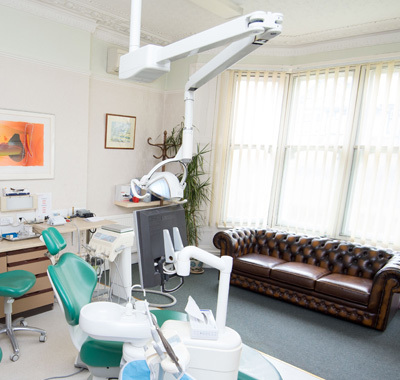 If you are looking for the one of the best dentist practice in Cardiff, consider visiting Church Road Dentist.